Gainesville, FL • April 11, 2014 — Swamp Head Brewery claimed a gold medal in the 2014 World Beer Cup ®, a global beer competition that evaluates beers from around the world and recognizes the most outstanding brewers and their beers. 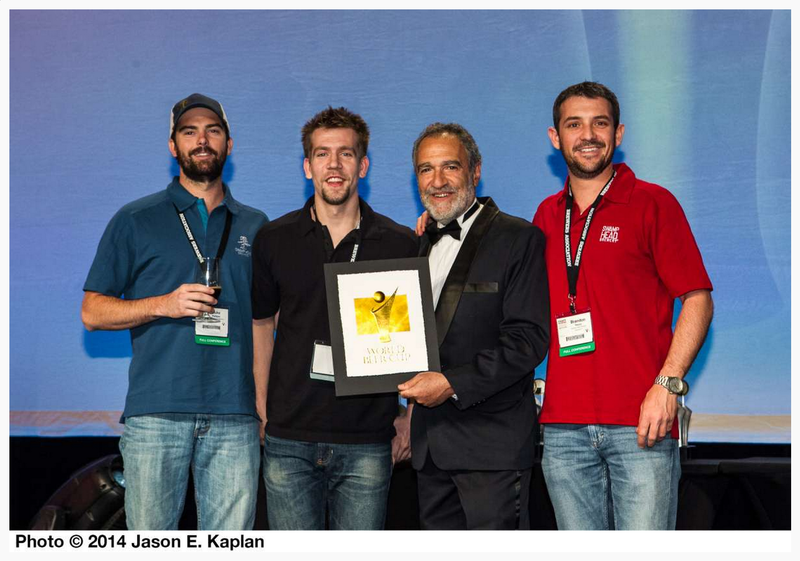 Gold, silver and bronze awards in the competition’s 94 beer style categories were presented April 11, 2014 during the World Beer Cup award ceremony at the Hyatt Regency in Denver, Colorado. Swamp Head was awarded a gold in the Smoke Beer style category for its Smoke Signal, a robust smoked porter that uses alder wood smoked malt to obtain a soft, smoky flavor. Swamp Head is a 10-bbl microbrewery located in Gainesville, FL that focuses on brewing world-class beer for the craft beer drinkers in their home state of Florida. World Beer Cup® winners were selected by an international panel of 219 beer judges from 31 countries. Regarded as the “Olympics of Beer Competition,” the World Beer Cup saw an impressive field of 4,754 entries from 1,403 breweries in 58 countries. Presented by the Brewers Association, the World Beer Cup® has been held every other year since 1996, to celebrate the art and science of brewing by recognizing outstanding achievement. For more additional information, visit the World Beer Cup website. Swamp Head Brewery was founded in 2008 in Gainesville, FL and has been striving to follow their mission of brewing world-class beer and establishing themselves as Florida’s Brewery. In 2009, Swamp Head started selling Wild Night Honey Cream Ale, Cottonmouth Belgian Witbier, Stump Knocker Pale Ale, Midnight Oil Oatmeal Coffee Stout and Big Nose IPA. These five beers remain as their year round portfolio today. While the year round offerings share the spotlight as the brewery’s flagship beers, Swamp Head also produces many other beers on a seasonal and limited basis. Swamp Head will move into a new Gainesville facility in late 2014, increasing capacity and the size of their tasting room.